I have to confess that I have a sizable stash of "mystery parts", all unboxed, unlabelled and for applications unknown. I worked on the principal that sooner or later they might prove useful to someone, if I could only work out what they fitted. 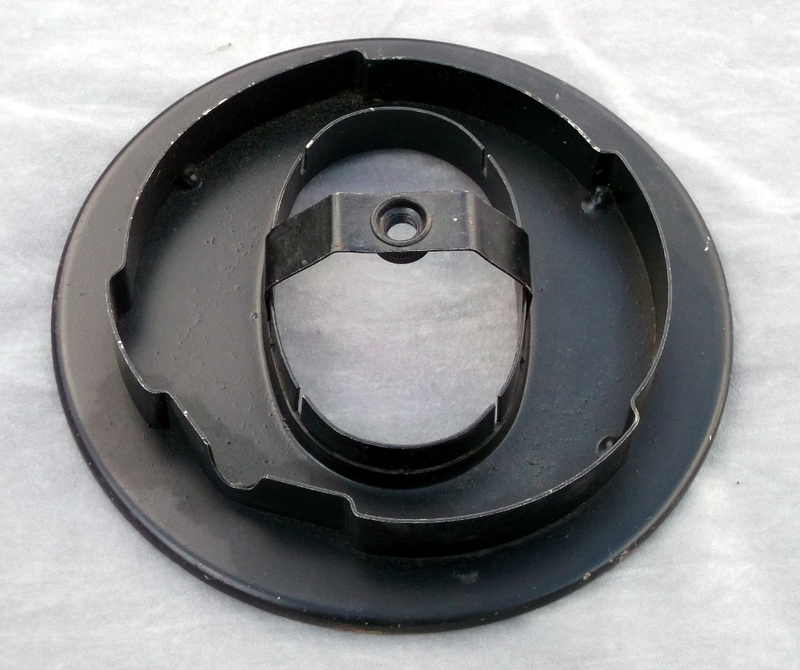 This bizarre air filter housing component is typical of such mystery parts. 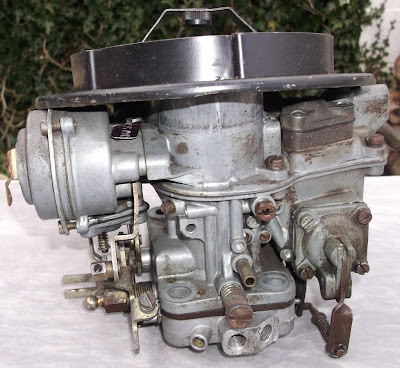 It has a few design features that the eagle eyed classic car fans might recognise. 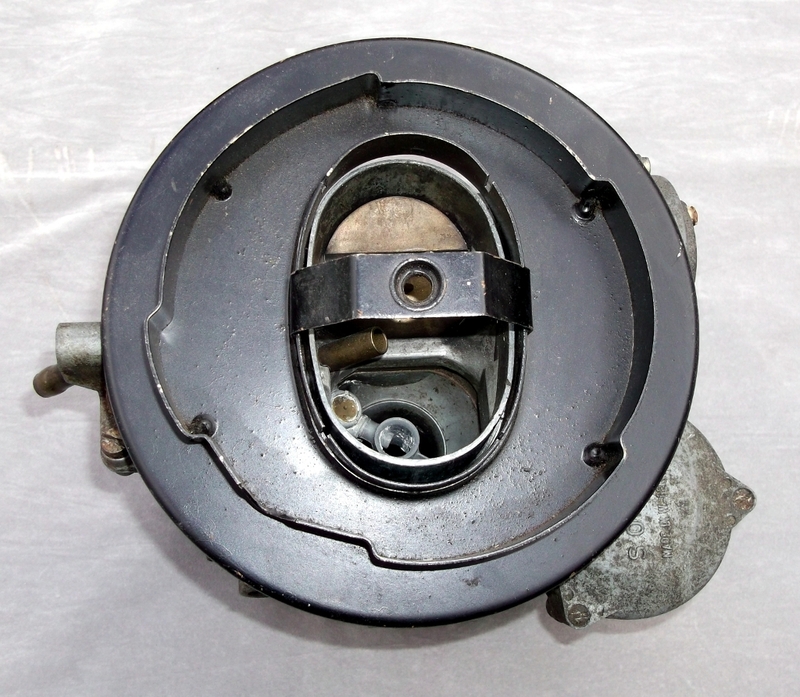 Note the ovoid mounting ring on the base, as far as I know this was a signature design feature on Solex carburettors. I made a test fit with a salvaged Solex DIDTA carburettor from an Opel Manta A series and the mounting ring was of the same dimensions. 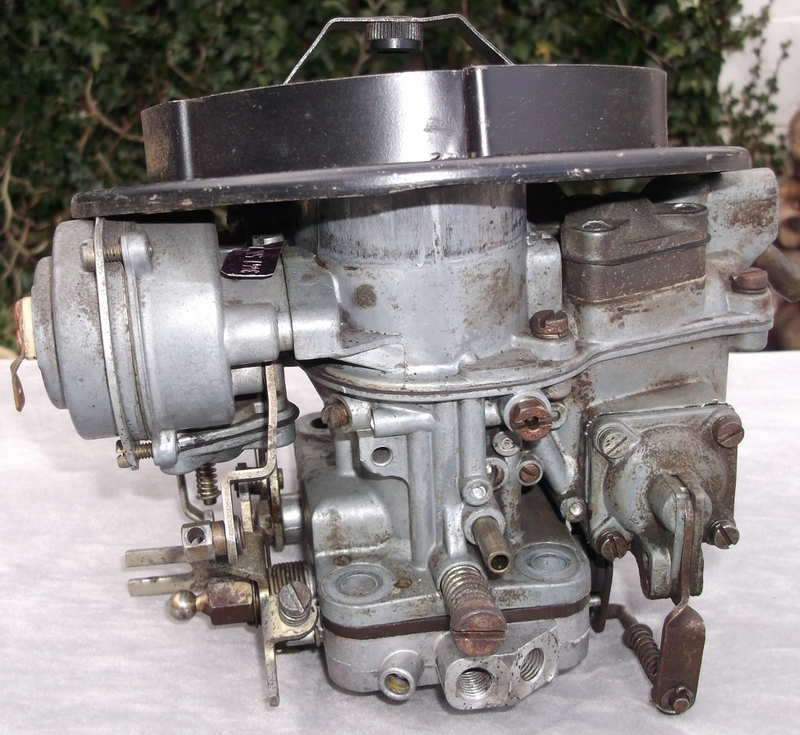 The adapter would have fitted completely, but for the secondary choke vacuum actuator fitted to this carburettor, as illustrated below. The other noteworthy element is the provision of a captive nut, I recall that some Fords used an air filter housing with a single wing nut fastening to hold the lid in situ. Could it be Opel or Ford? - do you know what it fits? 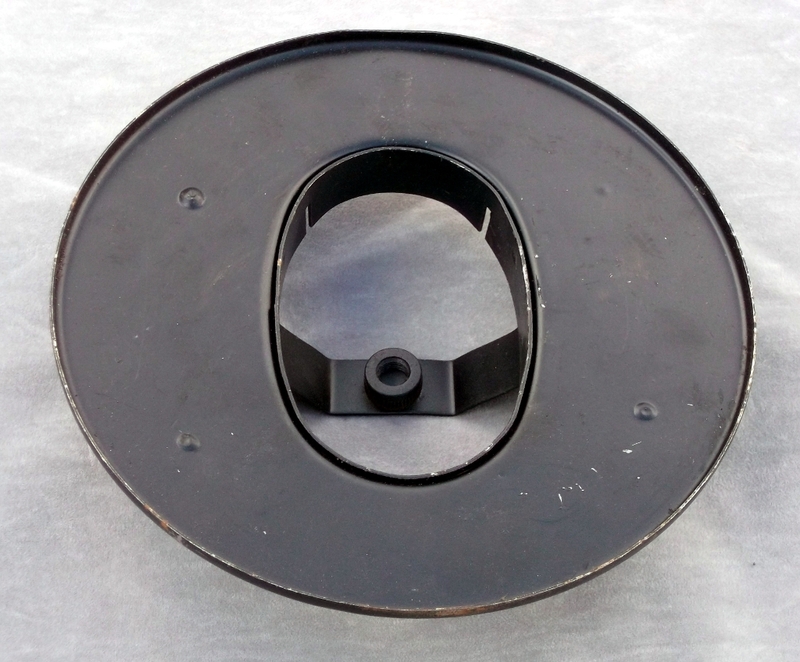 Now this quirky item has finally broken free of loft bound captivity, do you know what it fits? Could it be Opel or Ford? Because if it doesn't find a new home soon, it will be going in the scrap bin.